The Marion County Sheriff’s SWAT Team was established in 1976. This specialized unit within the Community Policing Bureau encompasses a team of highly trained, well-equipped, and dedicated deputies willing to assist in the most dangerous of situations. The team trains on a continuous basis for high-risk, complex, and excessively dangerous operations. The deployment of the SWAT team provides protection and safety for the public and law enforcement personnel while reducing the possibility of injury or death. The team resolves critical incidents within the community through negotiations, tactics, and various specialized equipment with the greatest regard for the preservation and safety of the community we serve. 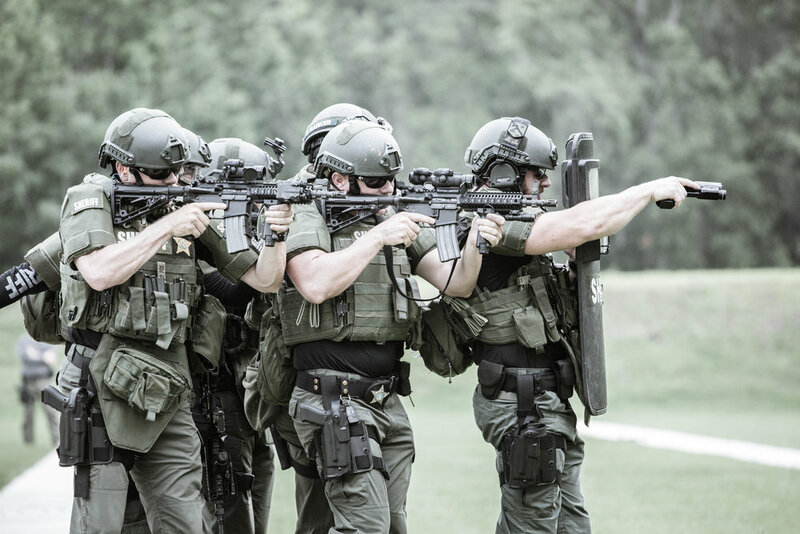 The ability and willingness of the SWAT Team members, the specialized equipment provided, and the continuous support from the Command Staff allow the Marion County Sheriff’s Office SWAT Team to be a Premier Unit serving a Premier Agency.